What is a Kabushiki Kaisha (KK)? The Kabushiki Kaisha (KK) is the most common type of company in Japan,　first established as a legal entity in 1873. Referred to as a stock company in English, KKs can sell shares of stock (partial ownership of the business) to raise capital. Its investors (also called shareholders) are entitled to the profits when the company prospers, but are not obligated with the responsibilities of running the business—unless they are also appointed as its directors. To qualify as a KK, the company must have a shareholder and a Representative Director. 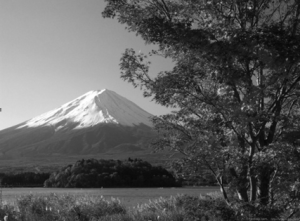 Japanese regulations are somewhat flexible in this requirement; the shareholder can also be the Representative Director, as long as he or she can fulfill all the necessary qualifications for both roles. 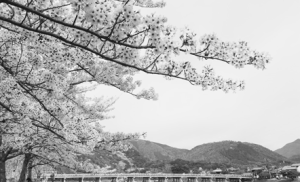 What are the advantages of incorporating as a Kabushiki Kaisha (KK)? • Even though KKs are more costly to set up compared to a Limited Liability Company structure (Godo Kaisha), it enjoys preferred business status with banks, investors, and the general public due to its longer history and image of more compliance. • The KK organizational structure is particularly useful when a company needs directors who are not shareholders, or investors who would rather stay uninvolved in the day-to-day duties of running of a business. • A KK may have more potential for expansion due to its ability to raise funds in a variety of ways, which include selling company shares, issuing stock options, and more. If a company is interested in raising outside investment without losing directorship in the company, a KK is recommended. What are the costs and procedures for establishing a Kabushiki Kaisha (KK)? 1. A personal seal: Though it is possible to use your signature instead of a personal seal (such as in the case of non-residents), it would require a certified proof of signature from the local Japanese consulate or notary republic. 2. A corporate seal: This is necessary for accepting or validating documents on behalf of the company and will be registered with the bureau for official use. It will be registered under the name of the representative directors of the company, as they are the ones authorized to use the seal for official business matters. 3. A Japanese bank account to receive the initial capital: Though Japanese law does not require legal residency in Japan to open a bank account, most banks still require the account holder to be a legal resident. If you are not a legal resident you have the options of 1) negotiating with the bank to open a non-resident personal bank account or 2) Using a temporary Nominee director. 4. A Representative Director: Despite the recent change in Japanese law allowing for companies to have solely non-local representative directors, it is still recommended to have a local representative for practical purpose and also for the initial incorporation when it is mandatory to use a local bank account for holding the initial capital. Also, post incorporation procedures, such as opening a corporate bank account often go smoother with a local director. Document filing and acquisition: Though this is considered one of the most banal aspects of the incorporation process, obtaining all the required documents in a timely manner is absolutely essential during the initial stages. 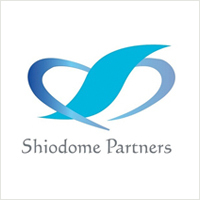 As your partner in the incorporation process, Shiodome Partners Group will ensure your incorporation goes smoothly and efficiently. Because circumstances often vary with the investor, the preparation requirements for initiating the company registration process will naturally differ from client to client. For example, investors who are looking to launch a subsidiary of an existing foreign company may have additional requirements to meet. In this instance, the investor would need to provide a notarized affidavit from the parent company, which would include true signatures from the parent company’s representatives. This is extremely important, because this document is an official record of how the company will be structured and managed. The roles and corresponding responsibilities will be chronicled for business and legal purposes, though it can be amended in the future if necessary. To finalize the Articles of Incorporation for registration, it must be notarized by a “koushonin” (notary public). The flat fee for notarizing articles of incorporation for stock company is 50,000 yen, and another 40,000 yen for the revenue stamp. The revenue stamp fee can often be waived if using a professional incorporator vs doing it on your own. As above, because a company bank account cannot be opened until registration is complete, the appointed representative director or shareholder of the new KK must already have an existing personal Japanese bank account. This is necessary as part of the incorporation procedure for proof of paid-in capital. This stage is critical for a smooth application and registration process. In addition to your completed Articles of Incorporation, you will need additional documents such as the letter of agreement from your company directors, proof of personal seal, and notification of company seal. Once all required documents are gathered and completed, you can file your company’s registration application at the Registry Office. Registration fees start at 150,000 yen, though additional fees may be applicable in some cases. Once registration is completed, you can obtain a registry certificate and your company seal certificate, which is required for opening a company bank account and for entering contracts under the company’s name. The incorporation process generally takes about 4 weeks to complete from the submission of documents, though it may take longer for investors living overseas. Certain businesses may require additional licenses to operate, which should be investigated prior to the incorporation due some license requirements such as office space, capital requirements and other information needed prior to the actual registration. Please contact us for more information if you are unsure if your business purpose requires a license. For added convenience, we are implementing the electronic signature system exclusively for our clients, eliminating the expense of fiscal stamps (which can cost up to 40,000 yen). 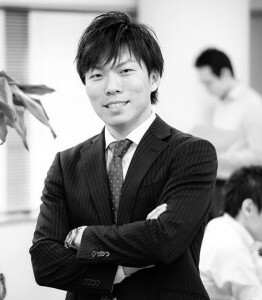 If you’re looking to set up a stock company and need expert guidance, Shiodome Partners Group can help. To learn more about our Incorporation services and the benefits of registering your company as a Kabushiki Kaisha, you can contact us via email at inquiry@shiodome.co.jp, submit a Contact Request Form, or call our Tokyo office at 03-6228-5505 (+81) during our usual business hours.